We offer an impressive selection of attractive and highly practical Triumph office storage solutions that could be perfect for your workspace. 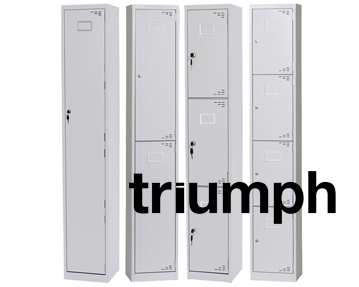 For example, our Triumph branded deluxe filing cabinets are available in a wide range of colours and sizes and they come with a 15 year warranty. We also provide a variety of cupboards, including side opening tambour designs, Metrix models that are ideal for storing box files or suspension files and handy corner units. You can take a look at our collection of triumph-multidrawer units too, and we offer Triumph bookcases in a number of attractive wood colour finishes. Our range also includes space saving desk pedestals.